Pack that consist of 40 elements made with a beautiful color palette and in full size. You will find nature, ribbons, frames, flowers, candles,bird, pin, and much more. 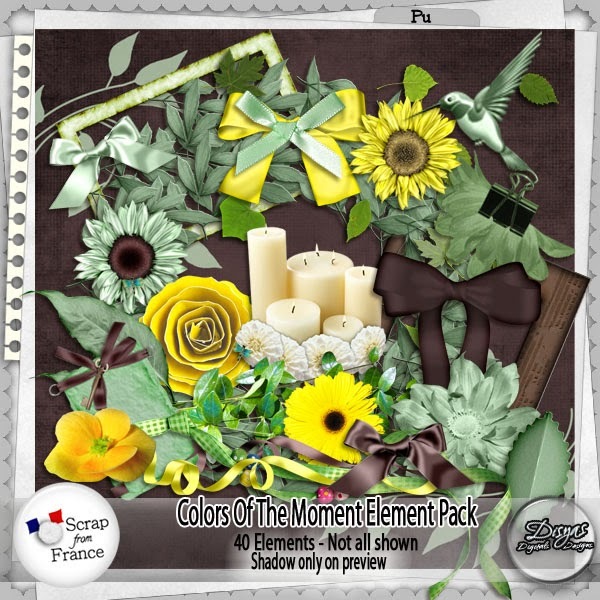 This pack is a perfect background for your memories and pictures. Pack that consist of 8 beautiful papers made with a great color palette,in full size. color palete at the store, for several talented designers. 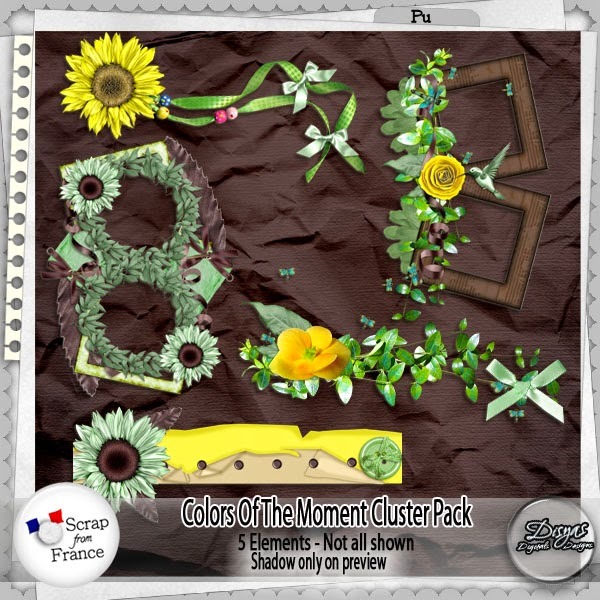 Pack of 5 clusters made with elements of my pack Colors of the moment Element Pack. This pack will give to your pictures a beautiful decoration. This pack match with other packs that you will find at the store. 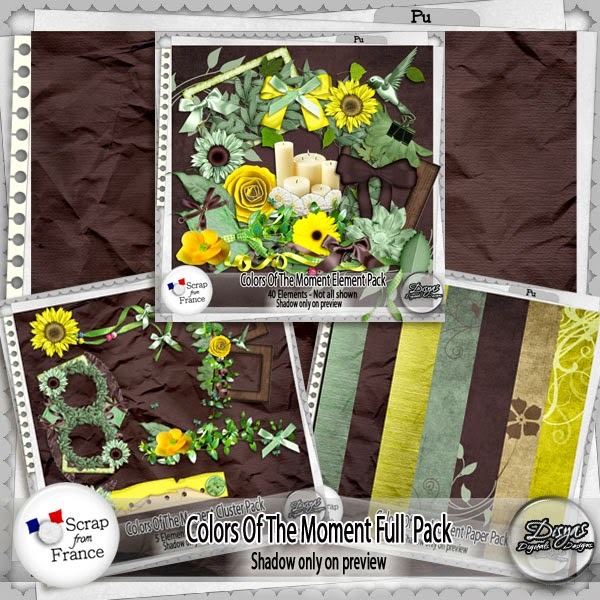 Pack that consist of 3 packs that match, made with a beautiful color palete. All made in full size, personal use. 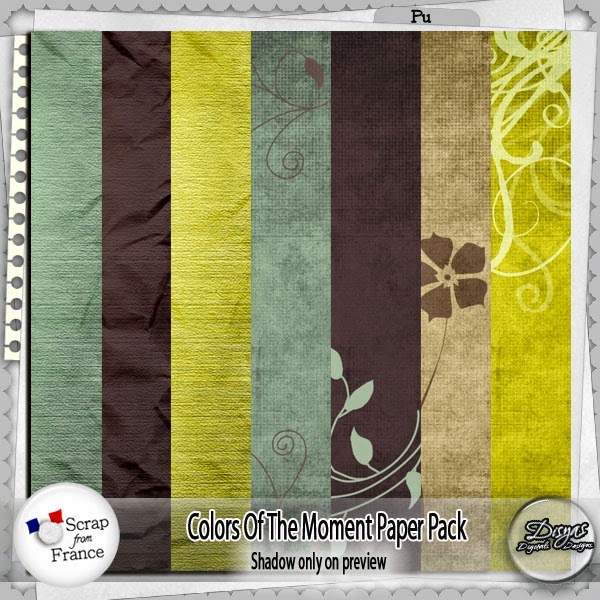 This entry was posted in Couleur du moment and tagged colors of the moment, Disyas, packs. Bookmark the permalink.